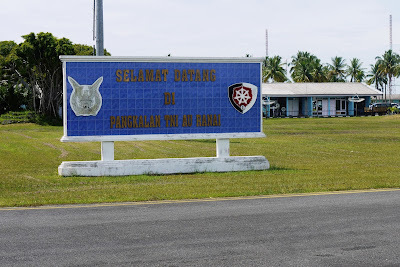 Liputan6.com, Biak - Keberadaan pangkalan militer Indonesia di Kabupaten Biak, Papua perlu ditingkatkan dan diperbesar. Keberadaan pangkalan militer tersebut dapat mengantisipasi terjadinya gangguan keamanan di kawasan Indonesia Timur. "Saya mendukung militer Indonesia membangun pangkalan yang lebih besar untuk menjaga wilayah NKRI. Kalau kita bisa melihat potensi Asia Pasifik ini lebih baik, maka kita akan memobilisir persenjataan kita di sini, maka wibawa Pasifik bisa didapatkan," kata Wakil Ketua DPR Fahri Hamzah dalam kunjungan kerja di Biak Numfor, Papua, Sabtu (31/10/2015). Pembangunan pangkalan militer yang lebih besar tentunya juga untuk mengingatkan Amerika Serikat dan sekutunya. "Pasti itu (untuk mengingatkan). Amerika Serikat akan tahu diri siapa yang akan bermain dan dominan di kawasan kita," kata dia. Ia menyebutkan, negara-negara yang berada di kawasan Asia Pasifik sepert Fiji, Solomon, Vanuatu mungkin sudah memiliki hubungan dengan AS. "Tapi dengan membangun pangkalan militer di Biak, maka kita memberikan sinyal kepada mereka dan juga pebisnis bahwa Indonesia Timur aman untuk berinvestasi," kata politisi PKS itu. Selain itu, ia juga mengusulkan kepada TNI untuk menggelar latihan militer di Biak meskipun secara akomodasi akan sulit. "Saya mengusulkan misalnya latihan militer. Kalau kita tarik latihan militer ke timur, itu kan lebih positif. Memang kita punya kawasan vital seperti Jakarta yang ada di Pulau Jawa, tapi kalau kita bicara latihan, kita tidak bisa latihan di wilayah barat, tapi daerah yang tidak banyak penduduk dan lahannya luas. saya juga usulkan kepada HUT TNI di Biak, Papua," kata Fahri. 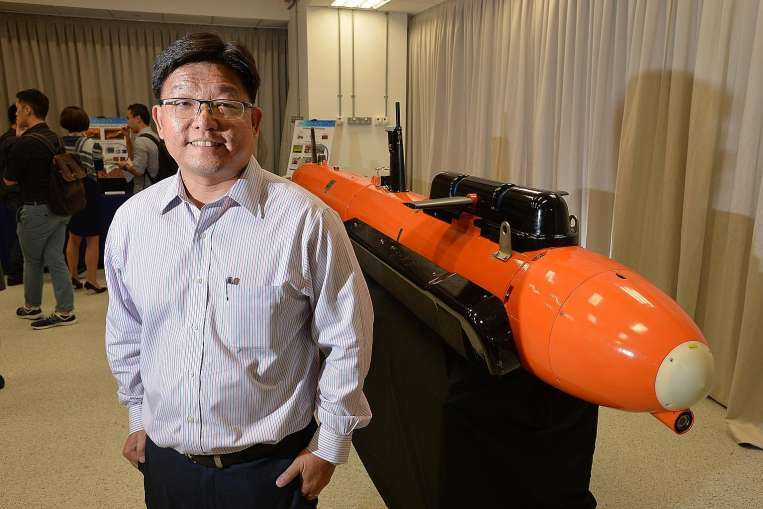 A home-grown firm has broken into the ranks of established defence manufacturers and scientists here to bag one of Singapore's top defence technology prizes. 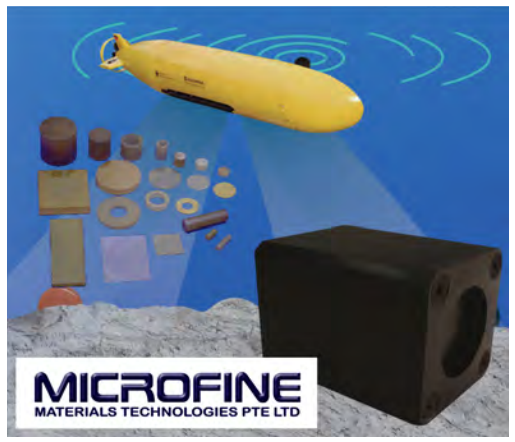 Microfine Materials Technologies was honoured yesterday at the Defence Technology Prize ceremony, for partnering national defence research body - DSO National Laboratories - to design and build an unmanned underwater vessel that can detect mines in shallow water. The annual Ministry of Defence (Mindef) event, to honour the finest in defence research and engineering, was held at The Chevrons club in Jurong. The M400 Autonomous Underwater Vehicle's key feature is its special sensor that will allow sailors to spot targets faster. The remote vehicle will be operational in two years. 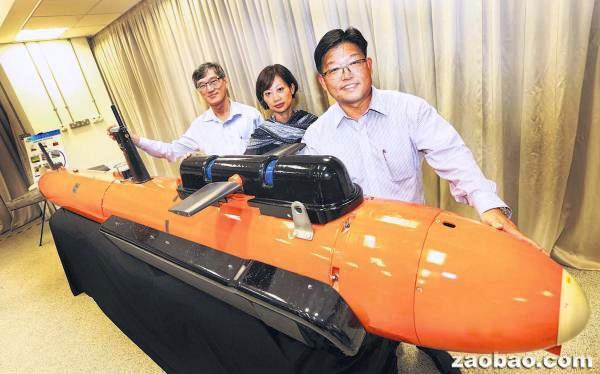 Operated remotely by four people, the 600kg vessel will be able to match, if not surpass, the capabilities of the existing Mine Countermeasure Vessel, which is manned by 20 people, said Mr Goh Ing Nam, DSO's Sensors Division programme director. He added that it will allow the navy to hunt down sea mines without putting sailors at risk. Dr Lim Leong-Chew, who set up Microfine Materials Technologies in 1996, said he was happy to make a breakthrough in local defence science research, an area dominated by bigger players such as the DSO, Defence Science Technology Agency and Singapore Technologies. "It's not just about making money but (finding) what technology you want to take Singapore to the world," said Dr Lim. Mindef's chief defence scientist Quek Tong Boon hopes more firms will come forward to partner the DSO. "We have been tapping the innovativeness, agility and efficiency of smaller companies to complement what we can get from larger research labs and companies in our R&D efforts," said Mr Quek. SMEs will be able to provide solutions for the armed forces, he said, adding that today's technologies, such as sensors and robotics, have dual purposes in the military and civilian world. At the ceremony yesterday, Defence Minister Ng Eng Hen also gave out the top prizes to four people and another team for breakthroughs in their fields of research. Winning work included customising the capabilities of the SAF's artillery guns and devising software to thwart attempts to jam communications networks. Paying tribute to the defence researchers and engineers, Dr Ng said Singapore will continue to invest significantly to maintain, if not grow, the talent pool. Noting that there had been a 30 per cent jump in the number of people who took up the SAF's science and engineering scholarships in the past four years, he said: "That is a significant jump and it shows that we are on the right path." The Indonesian parliament has approved a first batch of funds totaling some 89 billion won to be invested in jointly developing a new South Korean fighter jet. An official at the South Korean embassy in Jakarta said Saturday that the Indonesian parliament approved the funds for the project, dubbed the KF-X. 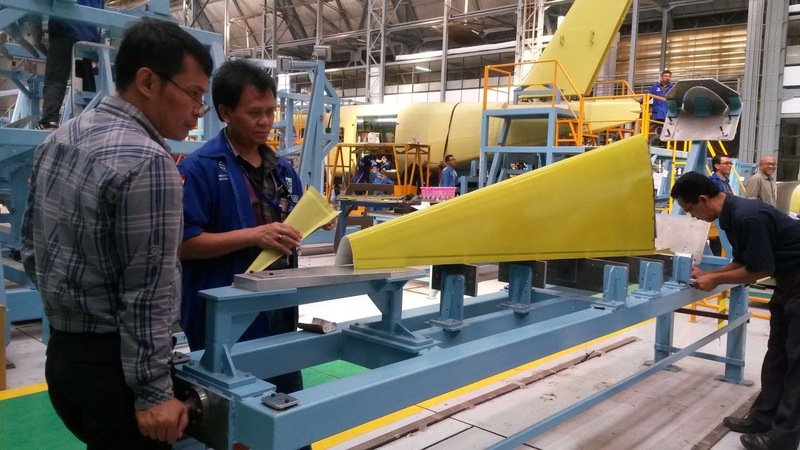 Following the latest budget approval, the two governments and the participating aerospace companies, Korea Aerospace Industries (KAI) and PT Dirgantara Indonesia will begin negotiations to sign a project deal in early November in Jakarta. 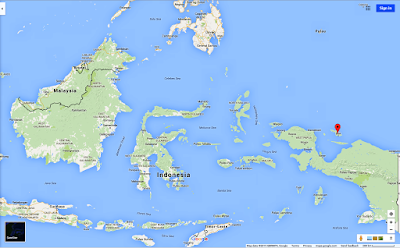 Indonesia plans to cover one-point-seven trillion won or some 20 percent of the KF-X development cost. With the first batch of funds green-lighted, Seoul's Defense Acquisition Program Administration (DAPA) believes Indonesia will approve the remaining budget in phases as well. The Agency for Defense Development has officially said that stealth technology is involved in South Korea’s domestic fighter jet project, dubbed the KF-X. Agency President Chung Hong-yong made the remark at a plenary meeting of the National Assembly Defense Committee on Friday. Asked about how advanced South Korea’s stealth technology is, Chung said he could not publicly disclose details but that stealth technology will go into the fighter jet. He also said the United States rejected Seoul's request for a stealth technology transfer for the KF-X project, but South Korea has been developing the technology on its own since 1997. 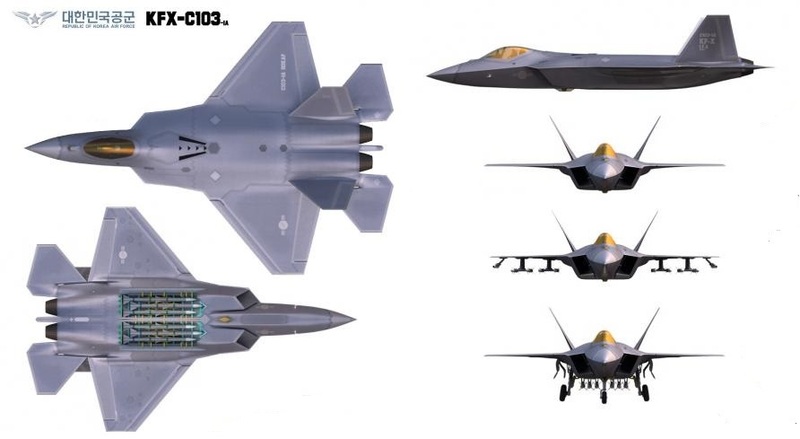 Chung said South Korea’s stealth technology is considerably advanced in terms of design and materials, adding that discussions are under way on whether to apply what has already been developed. 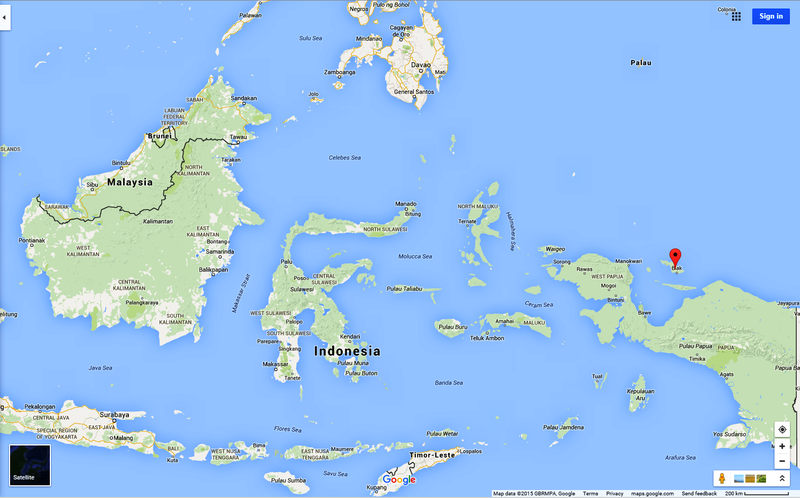 Lanud Padang dan Lanud Ranai Natuna, dan empat Lanud di wilayah Koopsau II (wilayah tengah dan timur Indonesia) masing-masing Lanud Tarakan (Kalimantan Utara), Lanud Leo Watimena, Morotai (Maluku Utara), Lanud Merauke Papua dan Lanud Rembiga, Mataram, Nusa Tengara Barat (NTB). Peningkatan Lanud tersebut sebagai tindak lanjut dari proses validasi organisasi yang sedang berjalan di dalam institusi TNI AU. Peningkatan status Lanud tertuang dalam Peraturan Kepala Staf TNI AU nomor 30 tahun 2015 dan ditindaklanjuti dengan Instruksi Kasau Nomor : Ins/4/X/2015 tanggal 23 Oktober 2015.. Selain itu, peningkatan status Lanud juga sebagai jawaban atas makin meningkatnya tantangan tugas yang diemban TNI AU, khususnya tugas-tugas yang berkaitan dengan penegakan kedaulatan wilayah udara yurisdiksi nasional di perbatasan. Peningkatan status Lanud tersebut, selanjutnya juga akan diikuti dengan peningkatan kepangkatan jabatan dan jumlah personel pengawak lanud serta fasilitas lanud. Dengan peningkaan status ini, maka Lanud tipe “C” yang selama ini dipimpin Komandan berpangat Letkol, maka setelah meningkat menjadi tipe “B” akan dipimpin oleh seorang Komandan berpangkat Kolonel. Demikian juga, untuk jumlah personel yang mengawaki Lanud, mengalami peningkatan. Sesuai dengan Daftar Susunan Personel (DSP) TNI AU, maka Lanud tipe “B” sedikitnya akan diawaki oleh 150 personel (militer dan PNS). 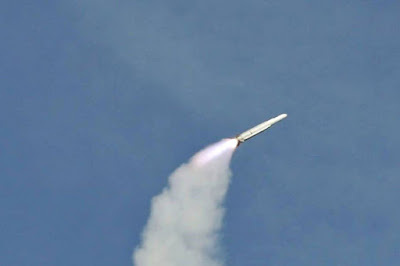 WASHINGTON - The State Department has made a determination approving a possible Foreign Military Sale to Thailand of Evolved Seasparrow Missiles (ESSM) and associated equipment, parts and logistical support for an estimated cost of $26.9 million. The Defense Security Cooperation Agency delivered the required certification notifying Congress of this possible sale on October 28, 2015. The Government of Thailand requested a possible sale of Major Defense Equipment for its Evolved Seasparrow Missile (ESSM) program. The total estimated value of MDE is $18,570,385. The total overall estimated value is $26,943,445. Also included with this request is additional equipment; training; and technical services. This proposed sale will contribute to the foreign policy and national security of the United States by increasing the ability of Thailand to contribute to regional security and improving interoperability with the U.S. Navy. 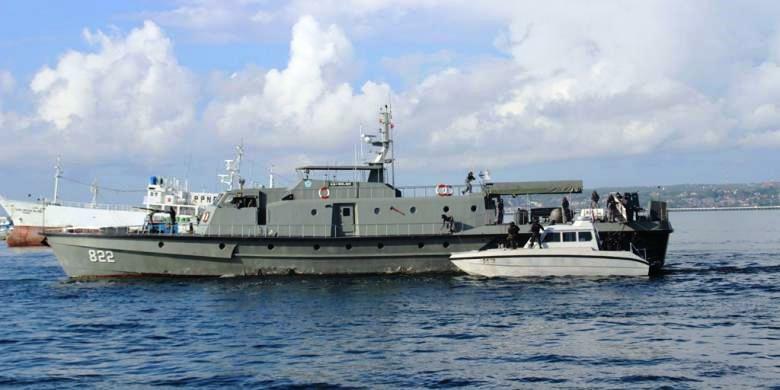 Thailand will use the ESSM to provide ship battlespace self-defense and firepower, which will improve its capability to meet current and future naval threats. The proposed sale of these equipment and support will not alter the basic military balance in the region. The principal contractors are: Raytheon Missile Systems/RMS (Tucson, Arizona), BAE Systems (Aberdeen, South Dakota), SAAB, 9LV MK4 Combat Management System (Sweden), Lockheed Martin (Baltimore, MD). Implementation of this proposed sale will not require the assignment of any additional U.S. Government or contractor representatives to Thailand. 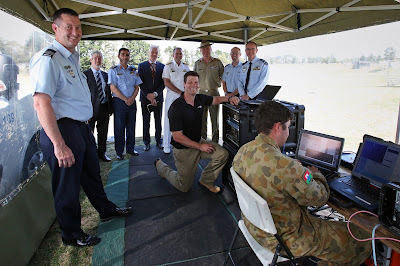 The Australian Defence Force has transferred high quality imagery and colour video via Wideband High Frequency (WBHF) radio as part of the Royal Australian Air Force’s technology upgrade, Plan Jericho. Today’s trial of the WBHF technology at HMAS Harman in Canberra is a major technical advance over the existing High Frequency (HF) radio infrastructure. 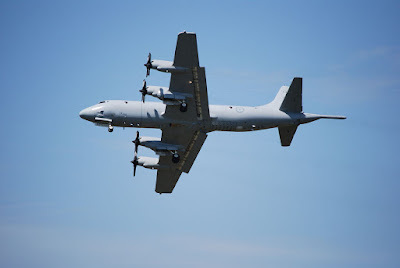 During live, over-the-air tests, a standard Internet Protocol (IP) data link was established between an Army node operating at HMAS Harman, the Chief Information Officer Group’s (CIOG) strategic HF network at RAAF Base Townsville and RAAF Base Wagga, and an AP-3C Orion aircraft at RAAF Base Edinburgh. Voice communications, messages, photographs and videos can all be transferred via the WBHF radio which doesn’t rely on a satellite. This technology can provide data rates up to 10 times faster than what is available in current fielded systems and allows existing HF infrastructure to integrate the new WBHF system. The testing of the communications system is a joint initiative involving Army, Navy, Air Force and CIOG, in collaboration with industry partner Rockwell Collins. Air Force Wing Commander Daniel Howarth said the enhanced HF communications capability could provide a backup to existing satellite communications. 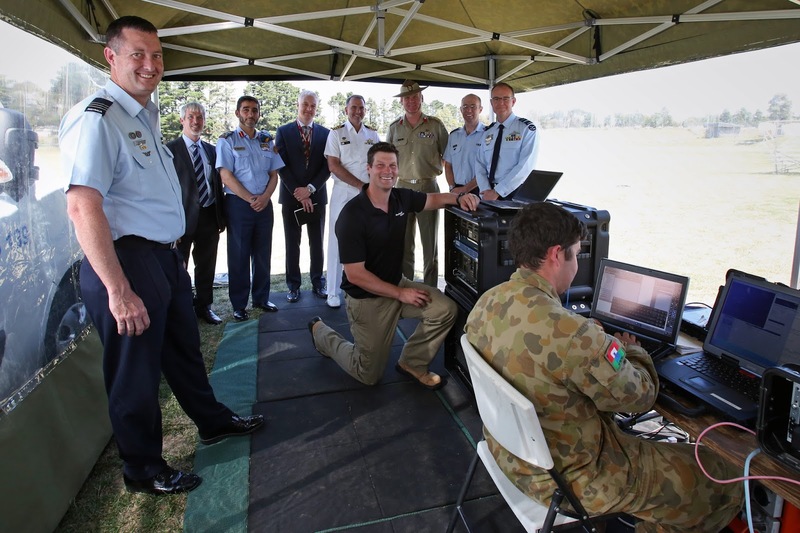 “Being able to transfer secure data via the WBHF radio could provide greater flexibility and survivability to the Australian Defence Force in the future,” he said. WGCDR Howarth said the trial was a great example of the three Defence services working in conjunction with each other supported by CIOG; a key goal of Air Force’s Plan Jericho. “We must strive to operate more closely, providing purposeful outcomes,” he said. Jakarta (ANTARA News) - Pemerintah memutuskan menganggarkan pembelian empat unit pesawat Beriev BE-200 untuk alutsista, termasuk di antaranya sebagai penyemaian garam hujan buatan di daerah terkena bencana asap. Hal itu disampikan Kepala Staf Angkatan Udara Marsekal TNI Agus Supriatna usai bertemu Wakil Presiden Jusuf Kalla di Kantor Wapres Jakarta, Jumat. "Kami sudah mengajukan itu dan dalam rencana strategis kami, rencana kita akan membeli pesawat itu sebanyak empat unit, itu sudah cukup," kata Agus. Dia menjelaskan pesawat jenis Beriev BE-200 lebih efektif dalam mengangkut air untuk menyemprot lahan yang terbakar. 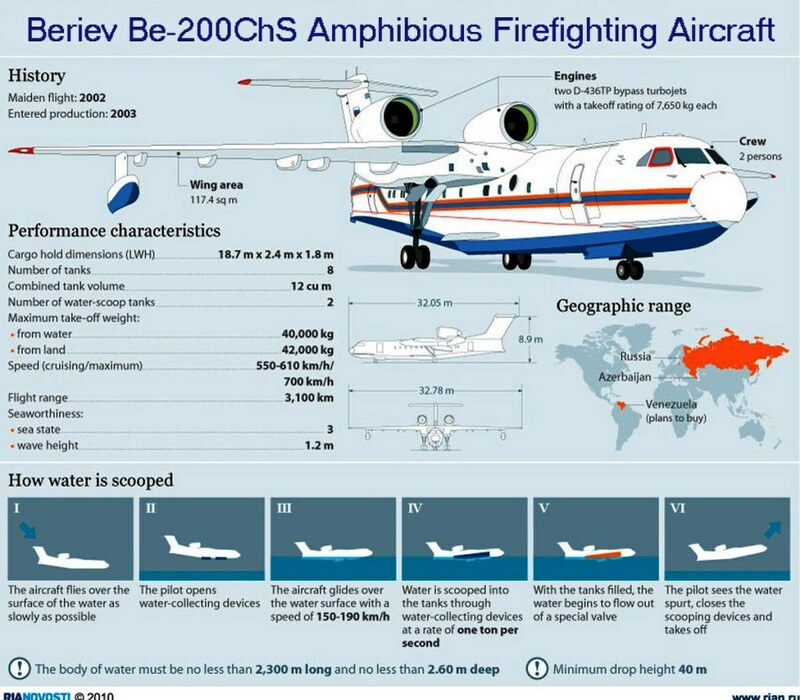 Dengan lebih banyak armada Beriev yang digunakan, maka penyemaian garam untuk hujan buatan akan lebih cepat dilakukan. "Shorty itu butuh banyak, sedangkan satu pesawat itu untuk ambil air di laut perlu 20 sampai 30 menit, kemudian 15 sampai 17 detik mengambil air, lalu setelah itu terbang lagi setengah jam," jelasnya. Untuk upaya penanganan asap di Sumatera, Pemerintah menyewa dua pesawat terbang amfibi asal Rusia untuk penyemaian garam hujan buatan. Pada pemerintahan Presiden Susilo Yudhoyono, dua Be-200 tersebut pernah disewa untuk operasi serupa dengan nilai kontrak hingga 5,4 juta dolar Amerika Serikat selama beberapa bulan. 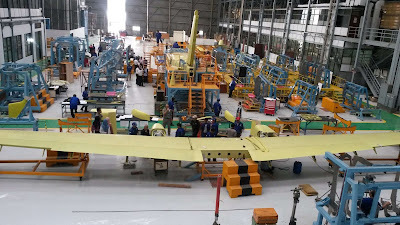 Be-200 itu juga sempat ditawarkan kepada Indonesia untuk dibeli saja. Pesawat Be-200 dengan dua mesin jet di atas sayapnya itu bisa langsung menyerok belasan ton air tanpa mendarat. Hanya dengan memposisikan pesawat terbang sejajar dengan air, maka pengambilan air ke dalam pesawat dapat dilakukan. Komandan Pangkalan Udara TNI AU Palembang, Letnan Kolonel Penerbang MRY Fahlefie, mengatakan, pesawat terbang amfibi ini mendarat di Palembang untuk berkoordinasi terkait persiapan operasi pemadaman air dari udara, di Selat Malaka. "Nanti pesawat amfibi ini akan mengambil air di Selat Malaka, sehingga akan disiagakan di Bandara Pangkal Pinang," katanya. Surabaya (Antara Jatim) - Sebanyak 45 personel kapal perang RI (KRI) berlatih mengoperasikan "GPS Jammer" yang berlangsung di Pangkalan Surabaya pada 28-30 Oktober. "Itu (GPS Jammer) mempunyai fungsi yang sangat strategis, apalagi jika dikaitkan dengan peperangan modern saat ini," kata Asops Kasal Laksamana Muda Ari Sadewo saat memberi arahan dalam pembekalan itu di Gedung Pulau Gundul, Kolatarmatim, Ujung, Surabaya, Rabu. Saat mewakili Pangarmatim Laksamana Muda TNI Darwanto dalam pembekalan bagi pengawak GPS itu, ia menjelaskan perang konvensional itu dilakukan dengan berhadap-hadapan langsung dengan musuh. "Perkembangan peperangan saat ini, kemenangan pertempuran akan ditentukan oleh siapa yang lebih unggul dalam bidang teknologi sewaco," kata laksamana bintang dua itu. Didampingi Komandan Guspurla Koarmatim Laksamana Pertama TNI I.N.G. Ariawan, Asops Kasal berharap kegiatan itu dapat membekali personel KRI dalam mengoperasikan "GPS Jammer" dalam mendukung taktik pertempuran laut. Saat ini, "GPS Jammer" di KRI sudah dilaksanakan sejak tahun 2011 dan TNI Angkatan Laut telah memasang 10 unit "GPS Jammer" di beberapa KRI. Awalnya, "GPS Jammer" digunakan sebagai penangkis serangan rudal dan pesawat, namun "GPS Jammer" dalam perkembangannya kini bisa "mengganggu" sinyal satelit GPS yang digunakan sebagai alat menentukan posisi. "Karena itu, serap semua ilmu yang disampaikan oleh pemateri, sehingga dapat lebih mengenal peralatan ini dengan baik dan sesuai prosedur, serta yang paling penting yaitu bagaimana merawat peralatan ini," kata Asops Kasal. MANILA (PNA) --- There is a very high chance that the South Korean-made F/A-50 "Fighting Eagle" will be making an appearance during the 80th founding anniversary of the Armed Forces of the Philippines (AFP) in December. Department of National Defense (DND) spokesperson Dr. Peter Paul Galvez during an interview Thursday, said, "ninety percent the (first two) F/A-50s will play a role in the coming 80th AFP founding anniversary." Galvez said that it is very likely that the F/A-50s will play the centerpiece of this year's celebration. "I don't know whether the planes will perform a high-speed pass or not but I know the aircraft will be the centerpiece of the celebration," the DND spokesperson disclosed. The Philippines contract with Korea Aerospace Industries is worth Php18.9-billion. 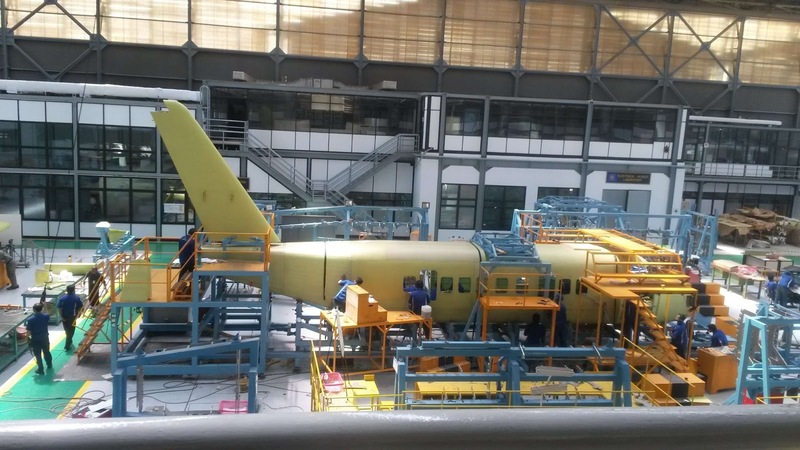 The 12 aircraft deal was signed last February 2014. An initial two units is expected to be delivered by December this year. The F/A-50 will act as the country's interim fighter until the Philippines gets enough experience of operating fast jet assets and money to fund the acquisition of more capable fighter aircraft. The F/A-50 design is largely derived from the F-16 "Fighting Falcon", and they have many similarities such as the use of a single engine, speed, size, cost, and the range of weapons. President Park Geun-hye asked the Defense Acquisition Program Administration (DAPA), Tuesday, to make efforts to push forward the country's KF-X project to develop indigenous fighter jets by 2025 as scheduled. The comments from the President came amid growing concerns that a delay in the project could be unavoidable because the National Assembly may cut the relevant budget following the U.S. refusal to allow Lockheed Martin to transfer core technologies related to its F-35 stealth fighters to Korea. She made the remarks when DAPA head Chang Myoung-jin visited Cheong Wa Dae to brief her about the procurement agency's measures to handle the crisis facing the project. Chang was quoted as saying by lawmakers of the National Assembly Defense Committee, "After listening to my report, President Park asked me to do the best to push the KF-X as planned, because it is the nation's most important project." According to officials, Chang told Park about DAPA's plans to push for domestic development of related technologies along with cooperation with foreign companies. Chang attended the Defense Committee's subcommittee meeting hours after he visited Park. The Defense Committee has been holding this meeting from Monday to examine the defense budget for next year, but the evaluation is being dragged out with lawmakers saying that they need more time to look into KF-X funding. Rep. Kim Sung-chan of the ruling Saenuri Party said, "We decided to further examine the reliability and feasibility of the KF-X project." Rep. Yoon Hu-duk of the main opposition New Politics Alliance for Democracy (NPAD) also said, "We need more time to decide whether to go with or reduce or increase the KF-X budget." Lawmakers say the plenary session will possible be held on Thursday. Observers say with the President expressing willingness to go forward with the project as scheduled, it would be difficult for the members of the ruling party to cut the KF-X budget. The subcommittee is examining whether the 67 billion won submitted by the Ministry of Strategy and Finance is reasonable to be earmarked next year for the KF-X project. The ministry and the DAPA were hoping the Assembly would increase the funding, as the money was already cut in September by the finance ministry from the 161.8 billion won that the DAPA initially requested. But concerns grew that there would be a cut again in the 67 billion won after the U.S.'s refusal, which dealt a serious setback to the KF-X, weakening the feasibility of the 8.5 trillion won project. Defense ministry spokesman Kim Min-seok said it would be improper to delay a national project because a few technologies are currently unsatisfactory. "We are hoping that the necessary budget will be approved so that the project can go forward," he told reporters in a regular briefing. "The KF-X is a very important project for the Air Force and for the development of the aviation industry. It should be completed." In April, the U.S. government refused to allow the transfer of four technologies ― the active electronically scanned array radar, infrared search and tracking, an electronic optics targeting pod and an RF jammer. Bandung - Pesawat N-219 buatan PT Dirgantara Indonesia akan di-roll out (dimunculkan ke publik untuk pertama kali) November mendatang. Rencananya, Presiden Joko Widodo akan hadir menyaksikan pesawat buatan anak bangsa itu. 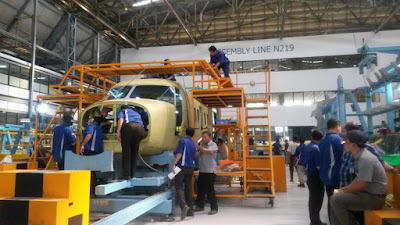 Chief Engineering N-219 PT DI Palmana Bhanandhi mengatakan saat ini persiapan prototipe pesawat N-219 sudah mencapai 90 persen. "Ini cukup cepat. Kita first cutting September tahun lalu. Saat ini sudah mulai terlihat bentuknya. Insya Allah November nanti kita roll out," ujarnya saat ditemui di hangar PT DI, Jalan Pajajaran, Rabu (28/10/2015). 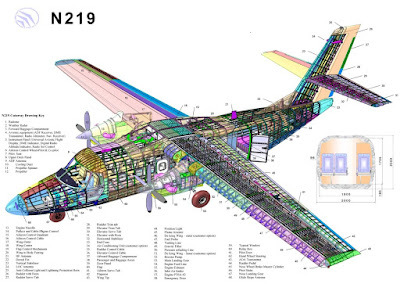 N-219 merupakan program pesawat terbang nasional kelas 19 penumpang yang dimulai melalui nota kesepahaman antara LAPAN dan PTDI tentang kerjasama di bidang pengembangan teknologi dirgantara pada tahun 2009. "Sebenarnya idenya sudah sejak 2006 lalu. Kita mulai survei ke Papua lalu merumuskan desainnya dan lainnya. Baru bisa terealisasi 2014 setelah ada komitmen dari pemerintah menjadi produk ini sebagai pesawat terbang nasional," ungkapnya. Menurut Palmana awalnya roll out akan dilakukan Agustus lalu. Namun karena ada penyempurnaan desain, akhirnya molor. "Ya mudah-mudahan target November nanti terkejar," katanya. Rencananya kemunculan N-219 akan langsung disaksikan oleh Presiden Jokowi. "Kami masih sesuaikan jadwal dengan Pak Presiden," ujar Palmana. Setelah roll out, pesawat akan dilengkapi dengan sistem yang memungkinkan untuk terbang. "Februari ground test, lalu development dan sertifikasi dari Kemenhub yang menyatakan sistem di pesawat laik terbang. Setelah ada izin, Mei 2016 untuk first flight," kata Palmana. Pemerintah mengucurkan dana sebesar Rp 400 miliar untuk pembuatan pesawat ini. Anggaran ini untuk membiayai desain, pembuatan prototipe, engineering flight simulator, landing gear drop test, mockup, dan lainnya. "Mungkin nanti saat first flight bisa mencapai Rp 500 miliar," katanya. Pesawat bermesin dua buah ini multi purpose. Bisa mengangkut penumpang ataupun kargo. "Bisa angkut orang, angkut barang. Dia juga point to point. Tidak perlu landasan yang bagus, tidak perlu diaspal sudah bisa landing. Dan tidak perlu landasan yang panjang," pungkasnya. Malaysia has cut its defense budget by over 2% for 2016 in yet another sign that budget constraints are undermining the country’s defense spending plans, Prime Minister Najib Razak revealed in an annual speech to the nation delivered October 23. As I have noted before, Malaysian defense officials have repeatedly called for a boost to the country’s maritime and aerial capabilities in the face of rising threats ranging from piracy to terrorism and Chinese assertiveness in the South China Sea, which has begun to affect the country to a greater extent in recent years. But according to Najib’s annual budget speech delivered on Friday, the amount allocated for defense was just 17.3 billion ringgit ($4 billion), a decrease of 2.25% relative to the 17.7 billion ringgit allocated for 2015. The 2015 defense budget, by contrast, had constituted a 10% increase over 2014 levels. The decrease is not surprising. Najib’s budget speech comes amid severe concerns about Southeast Asia’s third largest economy. Economic growth, already sluggish this year due to falling commodity prices, a weak ringgit, and a state investment fund scandal implicating Najib himself, is expected to slow to just 4% – 5% in 2016. Najib’s own political survival has been questioned, with a no-confidence vote tabled by the opposition in parliament (even though it is unlikely to succeed). To be sure, the cut is not that drastic, and Malaysia’s defense spending as a percentage of GDP continues to hover at 1.5% as it has for years. Furthermore, Najib emphasized in his speech that the government was “committed to implementing capacity-building plans for the Malaysian Armed Forces (ATM) in stages.” His remarks confirm that existing procurement plans – including the acquisition of six littoral combat ship vessels and an air defense weapons system – would not be affected by the budget cut. Yet concerns will continue to linger about Malaysia’s lagging capabilities in the face of the manifold threats the country faces, including piracy, smuggling, kidnapping, terrorism, illegal fishing, and encroachments by regional neighbors like Indonesia and the Philippines. Some new programs being mulled had already been shelved due to budgetary constraints, and the current economic environment only compounds existing problems in funding the country’s much-needed capability boosts. JAKARTA. PT Dirgantara Indonesia tengah merampungkan pembuatan pesawat perintis bertipe N219. Pesawat berkapasitas 19 penumpang ini akan mulai dipamerkan November 2015 mendatang. Kepala Divisi Perencanaan Dirgantara Indonesia , Sonny Saleh Ibrahim mengungkapkan, pesawat dengan misi penerbangan antar pulau ini telah dipesan oleh tiga maskapai penerbangan. “ Sudah mulai dipesan oleh tiga maskapai, 2017 akan mulai dijual,” ujar Sonny kepada KONTAN, Jumat( 23/10). Tiga maskapai tersebut yakni PT Aviastar Mandiri, PT Trigana Air, dan PT Nusantara Buana Air. Meski enggan merinci satu persatu, jumlah unit N219 yang dipesan oleh ketiga perusahaan tersebut, Sonny bilang, secara total ada 30 pesawat N219 yang telah dipesan dengan total opsi pembelian mencapai 30 unit. Pihaknya secara bertahap akan mulai mendistribusikan N219 ke ketiga maskapai tersebut pada 2017 mendatang. Untuk harga perunit, N219 dibandrol sebesar US$ 4 juta- US$ 5 juta. Selain itu, untuk pembuatan bahan pembuatan pesawat, Sonny bilang diawal pembuatannya N219 telah menyerap sekitar 40%-50% kandungan lokal dalam negri. Pihaknya berencana akan meningkatkan kandungan lokal hingga 70%-75%. Namun sebelum produksi massal yang direncanakan pada 2017 mendatang, Sonny bilang pihaknya harus mengurus izin sertifikasi nasional yang diperkirakan mencapai satu tahun. JIka sudah diproduksi secara massal, Dirgantara menargetkan penjualan N219 tidak hanya memenuhi kebutuhan pesawat perintis dalam negri, namun pihaknya juga akan menjual pesawat tersebut hingga ke negara negara Asia Tenggara lainnya. Terkait target penjualan Sonny enggan memberitahu target penjualan N219. Namun pihaknya akan fokus memenuhi kebutuhan pesawat perintis di Asia yang diperkirakan mencapai 800 unit hingga 20 tahun kedepan. “ Makanya kami akan terus tingkatkan produksinya dari empat unit ditahun pertama, delapan unit tahun kedua dan 12 unit pada tahun selanjutanya,” ujar Sonny. Bid opening is scheduled at Nov. 10, 9 a.m. at the PAF Procurement Center Conference Room, Villamor Air Base, Pasay City. 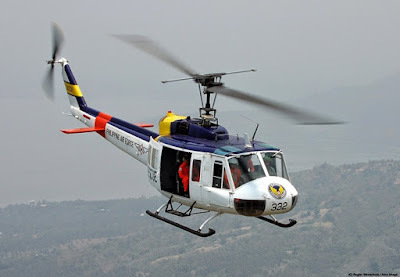 The Bell-205 is the civilian version of the Bell UH-1 Iroquois single-engine military helicopters. It is type-certificated in the transport category and is used in a wide variety of applications, including crop dusting, cargo lifting and aerial firefighting. 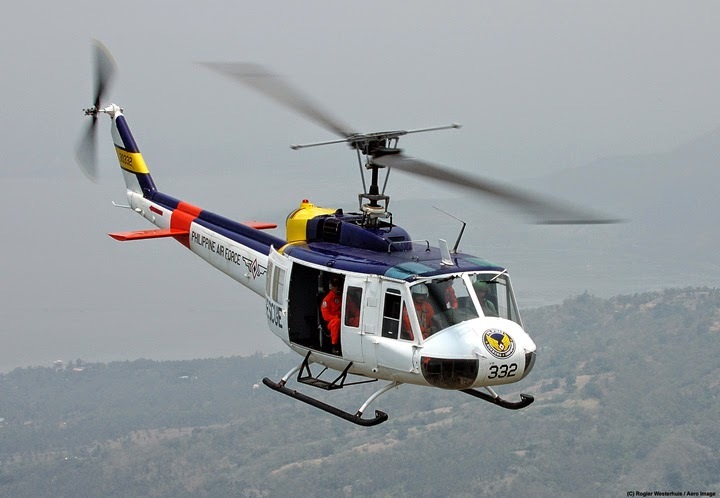 The PAF is known to operate four to six units of the said helicopter. SHAH ALAM: MALAYSIA is expected to sign for at least eight MD-530G light attack scout helicopter in late November. The helicopters to be operated jointly by the RMAF and the Army are expected to be deployed in ESSCOM once delivered. 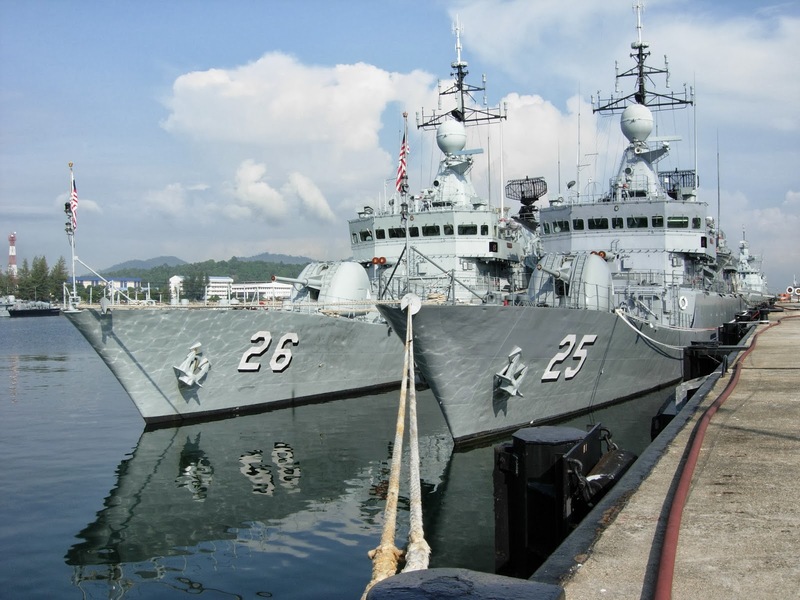 Industry sources told Malaysian Defence, officials were working feverishly to ensure that the signing ceremony could be held in November when Malaysia is scheduled to host the East Asia summit. However, if the agreement could not be worked out for the signing ceremony this November, the deal could be made official at the DSA 2016 exhibition next April. Apart from the MD530G, Boeing AH-6i and ex-US Army Kiowa Warriors were also considered to fulfill the Light Scout Attack Helicopter requirement. It is not known what type of weapons are to be procured for the Little Birds. According to MD Helicopters, the MH-530G could be fitted with a range of weapons systems from the Dillon Aero M134D minigun, the FN Herstal 50 caliber Heavy Machine Gune Pod or the Heavy Machine Rocket Gun Pod, the Talon guided rockets and the Hellfire ATGM. The helicopter could also be fitted with personnel carrying rig. 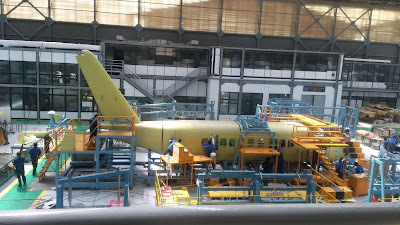 It is expected that the Little Bird version to be procured is the same as the example displayed at LIMA 2015 earlier this year. 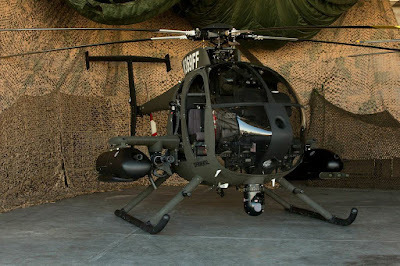 Among others, the MD 530G displayed at LIMA featured the 650 shp Rolls Royce 250-C30 engine, longer main-rotor blades, high-capacity landing gear, the Moog Stores Management System (SMS), Harris Corporation’s RF-7850A-UA tactical radio and the Thales’ Scorpion helmet-mounted cueing system. It also featured the Mace Aviation Extended Range Weapons Wing(ER2W), FN Herstal Machine Gun Pods and Rocket Machine Pods, Dillon Aero M134D-H Mini-Gun, the L-3 Wescam MX-10, and M260 rocket pod with TALON laser-guided rockets. 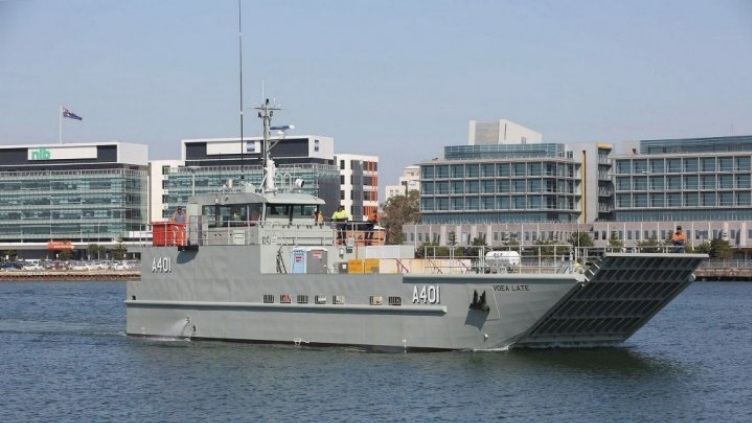 The Kingdom of Tonga has inducted a new Australian-built landing craft, the country's Ministry of Information and Communications confirmed to IHS Jane's on 26 October. 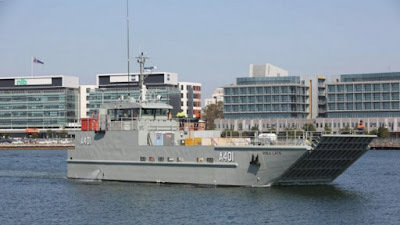 The vessel, which has been named VOEA Late (pennant number A401), was donated in an arrangement, understood to be worth approximately AUD5 million (USD3.6 million), with the Australian Department of Defence (DoD). The deal was announced in May 2014, and IHS Jane's reported in September that the landing craft was undertaking final sea trials ahead of delivery. A ministry spokesperson told IHS Jane's that the vessel was commissioned on 23 October. According to specifications provided by the vessel's shipbuilder, Forgacs Engineering, Late has an overall length of 30.4 m and a beam of 8 m. The steel-hulled vessel has a top speed of 10 kt and a cruising speed of 8 kt. Late can accommodate six crew members and has deck space capacity for up to four 20 ft ISO shipping containers with approximately 295 dwt. Besides the transportation of stores, personnel, and military vehicles of up to 85 tonnes, the vessel can be used for emergency towing. The vessel "will also allow Tonga to participate in regional disaster relief operations, such as the response effort following Cyclone Pam in March this year when a Tongan patrol boat was one of the first assets to assist Vanuatu", said the Australian DoD in an August statement issued during a visit by Tonga's chief of defence staff, Tonga Brigadier Lord Fielakepa, to the Forgacs shipyard in Newcastle, Australia. The visit was timed to coincide with the vessel's sea trials. Honeywell Aerospace will supply avionics for the Royal Thai Air Force’s T-50 Golden Eagle fleet under a new contract with Korea Aerospace Industries (KAI). The agreement will see Honeywell supply its Embedded Global Positioning System/Inertial Navigation System (EGI), radar altimeter, lighting and Electric Flight Instrument system for the aircraft. The new equipment will improve aircraft performance and reliability, and increase aircrew safety. 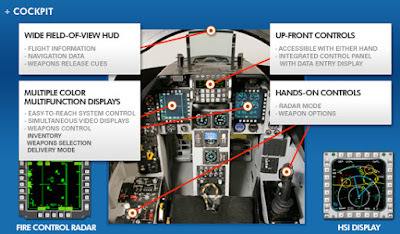 The EGI navigation system is designed to aid crew in navigation, pointing, stabilization and flight control applications. The radar altimeter provides pilots and flight control computers with an indication of height above the nearest terrain point below the aircraft. It ensures the pilot and crew have the most accurate information about the landscape around their aircraft to maneuver and conduct missions safely and precisely. Mark Burgess, vice president, APAC, Defense and Space, Honeywell Aerospace, said: ‘This contract with KAI cements our commitment to the South Korean defense market as the country strengthens its position as a defense manufacturer. The T-50 Golden Eagle is a supersonic advanced trainer and multirole light fighter developed by KAI. Kupang, NTT (ANTARA News) - Komandan Pangkalan Utama TNI AL VII/Kupang, Brigadir Jenderal TNI (Marinir) Denny Kurniady, mengatakan, akan menerima satu kapal patroli untuk membantu tugas-tugas penjagaan dan pengamanan di perairan NTT. "Kami sudah kirim surat ke pemerintah pusat sebagai syarat administrasi formal dan berharap dalam waktu dekat sudah terealisasi sesuai komitmen Jakarta," katanya, di Kupang, Senin. Penambahan kapal patroli tersebut, menurut dia, akan sangat membantu proses patroli di wilayah perairan NTT yang akhir-akhir ini sering ada kapal-kapal asing dan nelayan-nelayan lokal yang melakukan penangkapan tidak ramah lingkungan di perairan NTT. Perairan NTT juga cukup rawan dari hal-hal serupa itu ditambah posisinya yang berbatasan langsung dengan perairan negara Timor Timur dan Australia. Nelayan-nelayan asing dan lokal yang masuk dan menangkap ikan di perairan NTT sering kedapatan oleh nelayan-nelayan NTT menggunakan jaring atau pukat harimau yang berujung pada pengrusakan ekosistem laut. "Kami hanya dapat satu, sebab daerah-daerah lain juga meminta. Tetapi tidak apa-apa karena sebelumnya kita juga punya KAL Kembang yang beroperasi di perairan kita walaupun sudah tua," ujarnya. Selain dua kapal patroli, Pangkalan Utama TNI AL VII/Kupang juga telah mendapatkan bantuan dari Komando Armada Indonesia di Kawasan Timur TNI AL, berupa sebuah KRI Weling yang ditempatkan di Kupang. Sementara itu terkait aksi nelayan-nelayan NTT yang nekat mengejar kapal-kapal pengguna pukat harimau di perairan NTT, ia meminta agar bisa dihentikan, karena bisa berbahaya bagi nelayan-nelayan NTT. "Saya takutnya nanti nelayan-nelayan kita akan ditembak atau semacamnya, karena kita tidak tahu nelayan-nelayan asing atau yang nakal tersebut membawa senjata-senjata berbahaya," ujarnya. 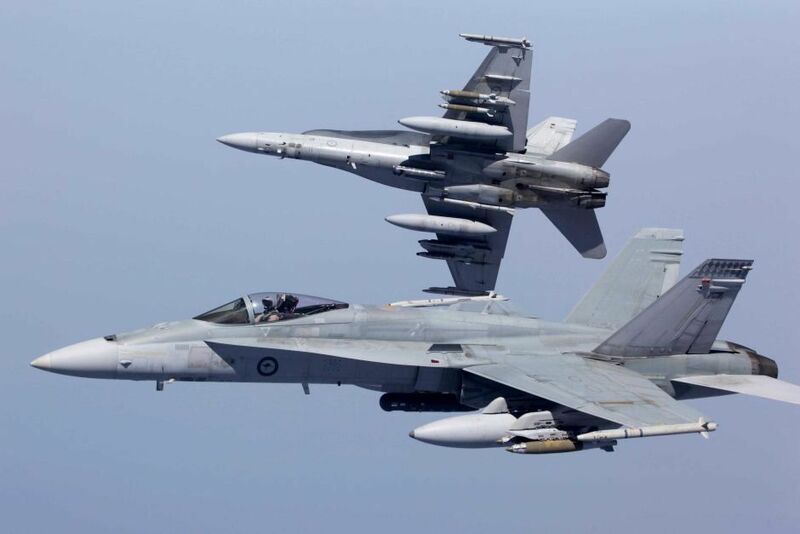 ROLLING MEADOWS, Ill.(GLOBE NEWSWIRE) -- The Royal Australian Air Force (RAAF) has extended its contract with Northrop Grumman Corporation (NYSE:NOC) to provide logistics support for its F/A-18 Hornet Target Designation Systems, which use the AN/AAQ-28(V) LITENING pod. The contract is the second four-year extension of the agreement between the RAAF and Northrop Grumman. 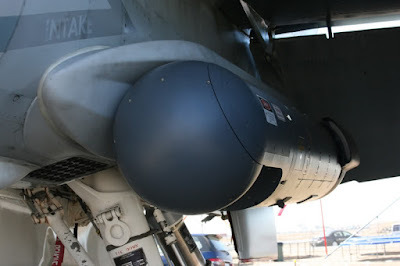 Under the terms of the award, Northrop Grumman will continue to provide in-service support for the RAAF's LITENING targeting pods and data links at RAAF Base Williamtown and RAAF Base Tindal. "This extension strengthens the Northrop Grumman-RAAF partnership and our company's long-term commitment to the Commonwealth," said Ian Irving, chief executive, Northrop Grumman Australia. "In addition to the support award, several enhancements have recently been authorized for the Hornet Target Designation System to improve tactical effectiveness. These may reduce costs by aligning the RAAF's pod configuration with that of U.S. forces." 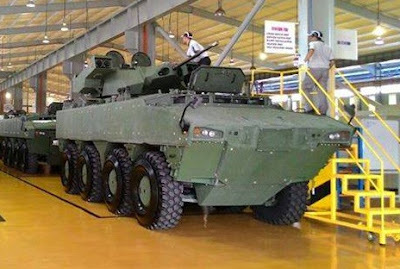 Denel Land System is supplying 176 turrets for the Malaysian project; the contract covers 69 armed with the DLS 30 mm CamGun; 54 armed with the same cannon and the Denel Dynamics Ingwe missile; and an overhead weapons station for the armoured personnel carrier variant of the Malaysian vehicle. The LCT30 ATGW variant is the most well-armed variant of the AV8, and is equipped with the LCT30 ATGW turret from Denel Land Systems. The LCT30 ATGW turret is armed with a Denel GI30 30mm gun and one 7.62mm coaxial machine gun as well as four ZT3 Ingwe 127mm anti-tank guided missiles. The Ingwe is a laser beam riding missile with a range of 5000m and the ability to engage moving targets. 54 units of this variant will be produced in the first batch of 257 AV8s. 12 of the IFV-25 variant which is fitted with a one-person FNSS Sharpshooter turret armed with a stabilised ATK Armament Systems M242 25 mm dual-feed cannon and an FN MAG 58M 7.62 mm co-axial machine gun (MG) are assigned to the 19th Battalion, Royal Malay Regiment, which is said to require 88 Gempitas in total. This beast is already in operational in Sabah. 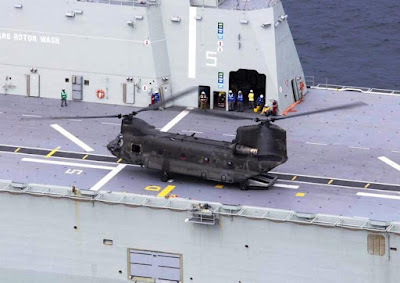 The Navy’s Aircraft Maintenance and Flight Trials Unit along with C Squadron, 5 Aviation Regiment has conducted a ‘quick look’ trial of the CH-47D Chinook onboard the Navy’s Flag Ship, HMAS Canberra. The trials were conducted over a week with preliminary work being conducted at HMAS Albatross and the flying trials conducted at sea on 20-21 October 2015. The Chinook helicopter conducted a series of evolutions to HMAS Canberra’s flight deck including launch and recoveries along with an assessment of external load operations known as vertical replenishment or VERTREP. An assessment was also made of aircraft lashing schemes and refuelling procedures. This trial was the precursor for a full First of Class Flight Trial planned for the CH-47F in late 2016. The CH-47D and CH-47F are both operated by C Squadron from Townsville in Queensland. 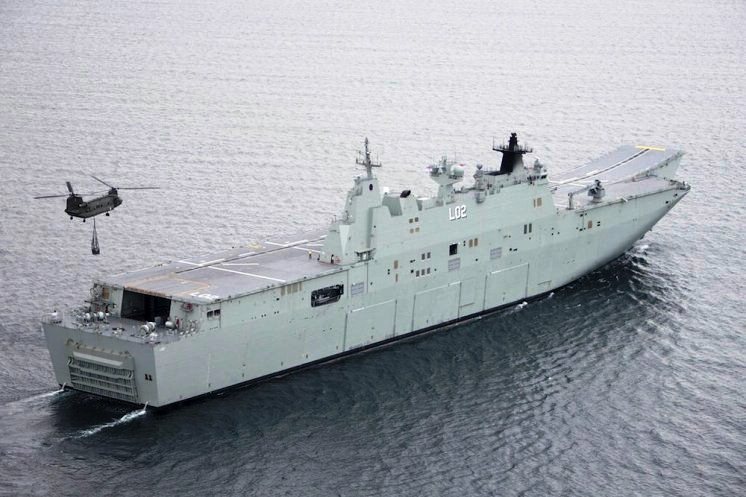 Commander Air HMAS Canberra, Commander Paul Moggach, said the trial represented another milestone in operational capability for the ship. "We are already authorised for deck operations with MRH-90 Taipan and S-70B-2 Seahawk helicopters, and the Chinook activity this week has further expanded our knowledge," he said. "We look forward to operating with Army helicopters in support of our amphibious roles." The outcome of the trial is to provide a limited CH-47D operating envelope to the Landing Helicopter Dock or amphibious assault ship. SEOUL, South Korea — South Korean defense officials are in a quandary over how to acquire an active electronically scanned array (AESA) radar, a key component for the country’s fighter development program code-named KF-X, following the US refusal to transfer the advanced radar technology. 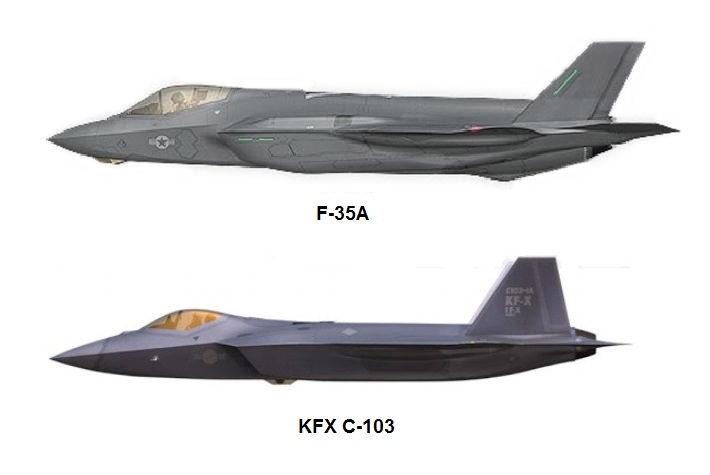 South Korea had expected to learn the AESA technology for the KF-X jet through offset deals connected to its F-X III contract to buy 40 Lockheed Martin-built F-35As. 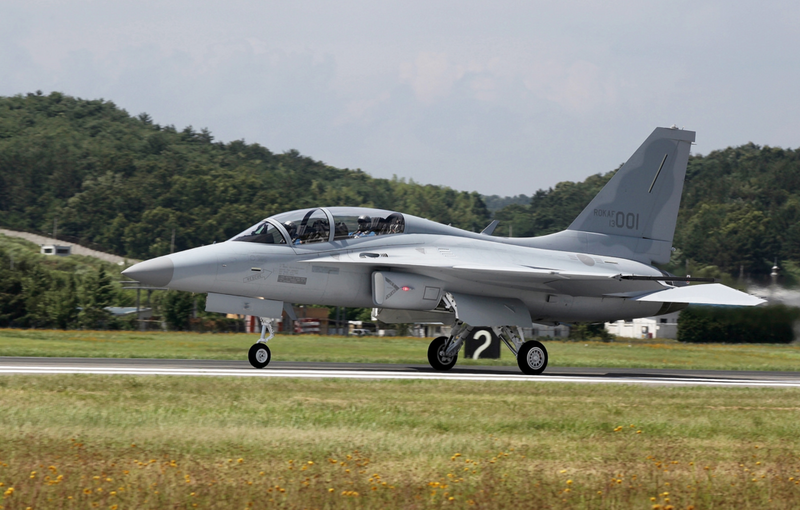 South Korea seeks to develop a twin-engine KF-X fighter jet on par with the F-16 and produce 120 units starting in 2025 to replace its F-4 and F-5 fleets. The project is estimated to cost some US $16 billion. But the US government refused to transfer four of the 25 fighter technologies South Korea wanted, citing the International Traffic in Arms Regulations. Those technologies concerned AESA, an electro-optical targeting pod, infrared search-and-rescue systems, and a radio frequency jammer. During the Seoul International Aerospace and Defense Exhibition (ADEX), which ran from Oct. 20 to 25, European radar makers sought to woo South Koreans apparently disappointed by the US. Sweden’s Saab offered to develop an AESA with South Korea. Bratt said Saab could complete the development of the AESA system with South Korea, as the Swedish company had been engaged in a joint study on the radar with the Agency for Defense Development (ADD), which is affiliated with South Korea’s arms agency. “Once we have a contract, it will take about two years to deliver the first system,” he added. Finmeccanica’s Selex is pitching its Captor-E radar fitted for the Eurofighter Typhoon. 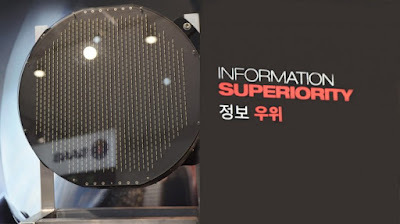 The British and Italian aerospace group recommends Seoul adopt the Selex radar and subsequently localize it in phases. “The bottom line is we’ll try to meet the Korean demands as much as we can,” a Selex official said on condition of anonymity. “The best option right now is for Korea to produce the Captor-E radar under license first, and with Selex’s tech transfer, Korea would be able to localize the AESA technology,” he said. Israel also has joined the radar competition, capitalizing on its previous works with South Korea. Israel Aerospace Industries (IAI) supplied its EL/M-2032 pulse Doppler radar for the FA-50 jet, a light armed variant of the T-50 supersonic trainer aircraft. 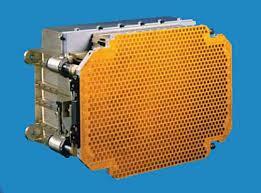 The company now is offering the EL/M-2052 airborne AESA fire control radar for the KF-X plane. “We’re willing and looking forward to cooperating with Korea,” said Igal Karny, deputy director of Elta Systems’ marketing and sales division. “The whole radar is our radar. We’re exporting the radar according to our regulations,” Karny said, apparently referring to Korea’s wariness of AESA export control. Unlike European and Israeli firms, US radar manufacturers were cautious when talking about AESA cooperation with Korea. “I can only tell you that right now we don’t have a license required for us to discuss KF-X radar cooperation,” a Raytheon official said. 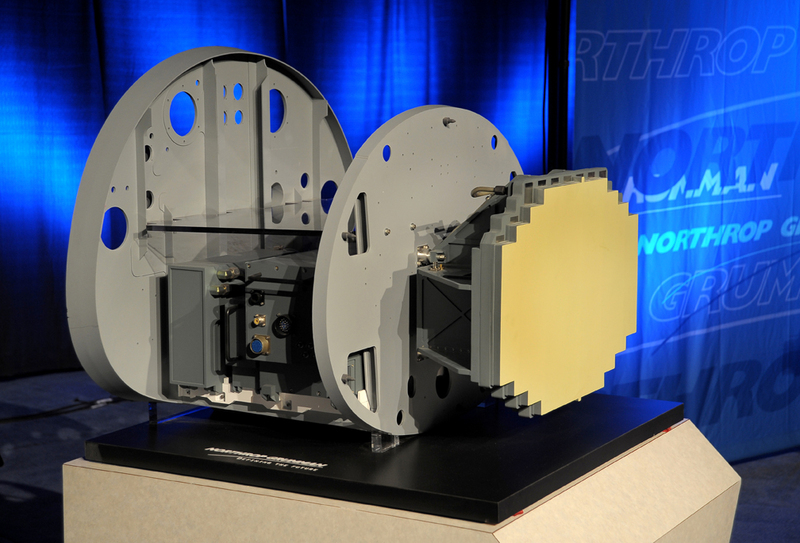 Northrop Grumman was a bit more active in participating in the KF-X effort, as it seeks to sell its scalable agile beam radar to Korea. Korea Aerospace Industries (KAI), which is in charge of KF-X integration, puts a priority first on reducing risk before locally developing an indigenous AESA system. KAI favors buying an AESA either from the US or other nations to develop a KF-X prototype. The presidential office backs the two-track approach as a way of easing public anger over US rejection of tech transfer. “I believe we can develop our own AESA and other key technologies within 10 years,” National Security Adviser Kim Kwan-jin said in a National Assembly audit Oct. 23. “We’re seeking technical assistance from a foreign partner in order to manage or reduce risks of independent development of key systems,” he said, adding the ADD has implemented research and development of AESA since 2006. The ADD has been in contact with radar companies from the US, Europe and Israel to find ways of purchasing an AESA system and gaining technical cooperation, according to sources. A selected partner company is expected to work with LIG Nex1, a precision weapons maker, to develop an indigenous AESA. Competition is also heating up between US and European engine companies. Eurojet Turbo is offering its 4.5-generation EJ200 engine to power the KF-X, touting the product’s exportability and growth potential. Linden stressed Eurojet would offer lenient technology transfer so Korea could export Eurojet-based engines to third nations free of US export control. “When the KF-X program advances and grows, we can have joint development with the Korean industry to grow the engine further,” the CEO said, adding that his company will help Korea learn engine integration skills. General Electric is pitching its F414 engine, highlighting its long experience producing engines under license with the Korean industry. GE stresses the development roadmap for the F-414, which powers the US Navy’s Boeing F/A-18 E/F Super Hornet, and GE’s succesful work on a number of international programs, including KAI’s T-50, the Saab Gripen and the Hindustan Aeronautics Tejas. KAI issued the request for proposals for the engine weeks ago and responses are due Nov. 4. The winner is scheduled to be announced by February and stands to sell about 400 engines.